Bethesda has declared its public support of Steam by promising its upcoming games will have a home there. A scant six months ago, this would have just been the end of the company’s failed attempt to launch its own platform. But in the currently contentious world of PC gaming, it’s a new salvo in the ongoing standoff between Valve’s platform and the upstart Epic Store. The company appeared to be moving towards its own platform, the Bethesda launcher. But then the calamitous Fallout 76 launch happened, and suddenly that’s not looking like such a great idea — I’m on record saying a lot of the game‘s problems could have been avoided had Bethesda launched it on Steam, and it appears the head honchos have come to the same conclusion. 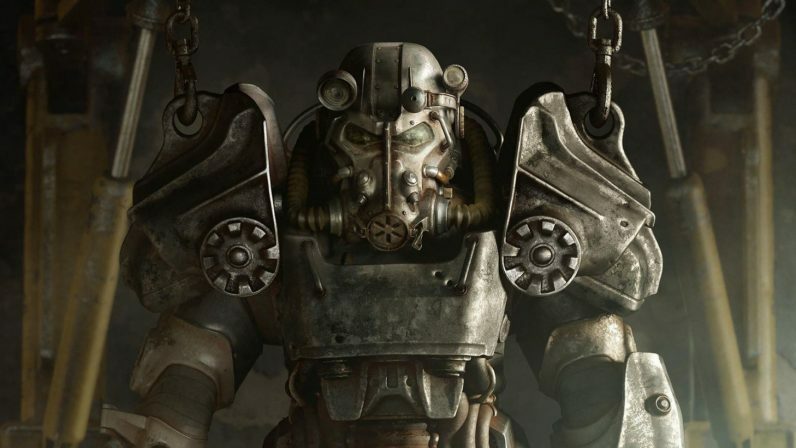 In a surprise tweet yesterday, Bethesda announced all of its upcoming games would be on Steam in addition to its Bethesda store, as would the previously-exclusive Fallout 76. While we don’t yet know if the Bethesda store will launch the games before or alongside Steam, it’s still a tacit admission that the store isn’t up to another major solo launch. This tweet is also as noteworthy for what it doesn’t say as for what it does — namely, there’s no mention of the games coming to the new Epic Games store. And the fact that Bethesda is throwing its support for Steam is more significant now than it would have been even a few months ago — even if the games come to the Epic Store at some point, Bethesda‘s namedropped Steam first. The two stores have been engaged in a war of exclusives that’s swiftly dividing the PC gaming market. Every time a new game is announced to be coming to the Epic Store exclusively, the debate over whether it’s good for the consumers reignites. On the one hand, supporters have argued Valve’s monopoly is nothing worth defending, and the revenue split that benefits developers will also trickle down to gamers in the form of cheaper games. On the other hand, critics argue Epic is just dividing the PC gaming market with thought only towards its own profits, and has been known to engage in some shady datamining practices. Game developers who launch on PC seem to have the option of going for one or the other, and each new name added to each side feels like a point for them. Steam scored not only Bethesda with this tweet, but also the Halo: Master Chief Collection earlier this month. The Epic Store, meanwhile has been pulling its own share of games, including Obsidian’s promising sci-fi RPG The Outer Worlds and the crowdfunded Phoenix Point. It seems the people at Epic are at least marginally aware they aren’t winning gamers’ hearts and minds. During a talk at the Game Developers Conference last week, Steve Allison, the head of the store, was asked about the company’s move with Metro Exodus. Questioned about the poorly-received move to poach the game from Steam despite extant pre-orders, Allison said “We don’t want to do that ever again.” Steam, for its part, seems content to wait Epic out rather than change any of its own policies, as it has years of gamer goodwill to bank on. No matter what, it seems gamers who want to enjoy games on PC are going to be dragged into this conflict whether they like it or not.